A slight, sometimes imperceptible tale nevertheless remarkable and rewarding for its sheer lack of convention. It’s disorienting enough to leave us wondering whether we are watching an apocalyptic sci-fi, a myth retold, or just a minor extrapolation of events surrounding hurricane Katrina’s inundation of Louisiana in 2005. 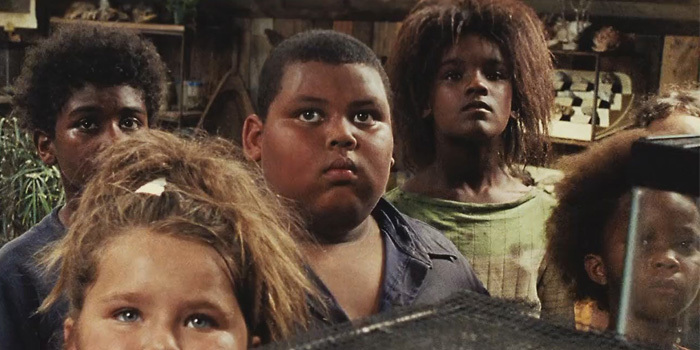 Despite many moments of sudden, alien beauty, Beasts of the Southern Wild is often grim and moves slowly. It is not a film to sink into like a warm bath. The drowned world inhabited by its wayward tribe of characters is fetid, overripe and strewn with refuse. However from this initially intimidating environment it is eventually possible to glimpse paradise, especially if you love seafood.